Interestingly, the top three finalists were each also awarded one of the three special prizes: Cho for Best Polonaise, Liu for Best Mazurka, and Richard-Hamelin for Best Sonata. Few concert halls have witnessed more musical history than Warsaw’s Filharmonia Narodowa, but then it is the venue and spiritual home of the world’s greatest music contest, the International Fryderyk Chopin Piano Competition. Wednesday night’s close of the 17th edition – the event is held every five years – saw history being made again, with the Polish president Andrzej Duda presenting the gold medal to a South Korean for the first time: the 21-year-old Seong-Jin Cho. North America also dominated more than ever before, with second (Charles Richard-Hamelin) and fifth (Tony Yike Yang) prizes going to Canada, third (Kate Liu) and fourth (Eric Lu) to the United States. Russia’s Dmitry Shishkin was placed sixth. Hopes for the new stars created here are always high, for the Chopin Competition certainly has a track record: Maurizio Pollini, Martha Argerich and Krystian Zimerman are among those who have won in Warsaw. Argerich was back as one of the past laureates on this year’s jury. The competition’s uniquely monographic nature helps to identify great pianists: if you can play Chopin well, that probably implies a mastery of a mastery of Mozart and Liszt and, by extension, most of the great piano repertoire. The results came at the end of a gruellingly intense three-week period. The prizewinners’ gala went on until almost midnight, and the jury had delivered its verdict the previous evening at nearly 1am. Those 10 pianists who reached the final, concerto stage had performed under the intense scrutiny of distinguished 17-member jury, packed halls and 130 hours of live coverage on Polish television. This is indeed a national event, but it also attracts millions of international followers via live-streaming. Audiences in Warsaw were kept guessing until the end, as the winning personalities took time to emerge clearly. But highlights of the prizewinners’ concert confirmed the rightness of the outcome. Kate Liu’s Op 56 Mazurkas proved why the spirited pianist also deserved the special prize for the best performance of this elusive form: she is a pianist of spirit and fire. Charles Richard-Hamelin’s cultivated playing showed in the emotional depth of his A flat major Ballade. Seong-Jin Cho’s unequivocally brilliant Concerto in E minor, with the Warsaw Philharmonic under Jacek Kaspszyk, found room for poetry too, and his Polonaise encore made a fitting end to this celebration of Poland’s national composer. In an interview he touchingly said, “My greatest dream is to concertise until I die, to appear on stage even when I am an old man”. Thanks to the power of the Chopin Competition, that dream may come true. Cho as the final decisions were announced. 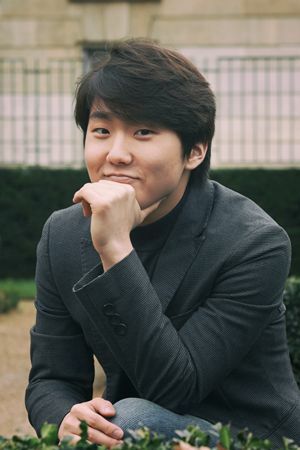 Cho is an interesting Chopin Competition winner. He found a way to let air into the dark, cloistered room from which a lot of Chopin performance seems to permanently emanate, and he did it in a way that holds up to Warsaw’s stringent technical standards. His playing is easygoing and free, with just a hint of aristocracy. Cho’s Chopin is outdoors on a summer day, sunlight filtering through branches overhead, mingled in good company, a favorite beverage at hand and not a care in the world. Technically, Cho’s most noticeable trait is a soft, feathery touch that seems to come out of him without any kind of fussiness, and which he carries out much more from the fingertips than from the pads than is fashionable these days. It is with this light yet crisp style that he avoids the trap of being in a competition to hit the climaxes and milk the melodic lines in Chopin harder than the last guy. In some places (most noticeably in the Polonaise, for which he was awarded a special prize), Cho seems to enter a phrase or passage in an awkward or unexpected way, only to come out of it wholly intact and smiling. Cho’s sense of rhythm is not rigid--at times it may seem he is taking liberties--but where he deviates he deviates with taste. Overall, what Warsaw got this year was a young pianist who brings a fresh new perspective to a very well-known body of music, and does so by executing his own personal feeling for the music flawlessly and effortlessly. Prelude in D Minor, Op.28 No.24. I just criticized Yundi Li's version of this Prelude on his last release. Cho's version is completely fluid and spontaneous. Wonderfully articulate without sacrificing any of the power of the composition. The Preludes are featured on Cho's Harmonia Mundi Chopin Competition release, but are incomplete on Youtube.